The Orphei Drängar Vocal Society was established on October 30, 1853, in restaurateur Österberg’s banquet hall on Old Forum Square in Uppsala. The city was isolated because of the risk of cholera, and little entertainment was available. First tenor Jonas Widén gathered around him three singers, a conductor – Oscar Arpi, leader of the Allmänna Sången (then) male-voice choir– a pianist, and, to be on the safe side, a spectator. One of the pieces they sang was Carl Michael Bellman’s piece Fredman’s Epistle No. 14, “Hör, I Orphei Drängar,” which soon became the society’s call to attention. Their purpose was primarily to amuse themselves. But after a half year, when Uppsala University’s director musices J. A. Josephson took over as director, the level of ambition rose. OD’s first concert under its own name took place in 1864. They were then an established elite choir that gave concerts in Stockholm and Gothenburg. The first Spring Concert was performed on April 13, 1870. In the 1880s Josephson’s successor, Ivar Eggert Hedenblad, published a collection of sheet music titled Student Songs. This work was of great overall importance to the Swedish male-voice choir tradition. OD grew to be a male-voice choir in its own right that could rival the best choirs in Sweden and abroad. In 1891 the choir undertook its first major tour of Sweden. The following year they traveled to Copenhagen and Hamburg. During Hedenblad’s time, the choir also gave prestigious performances before the Russian Czar and the German Kaiser. OD made its first gramophone recording in 1907 during a tour in London. Recorded material from 1907 to 1950 is collected in the CD box OD Antiqua. Hedenblad was succeeded in1910 by Hugo Alfvén, who had heard OD during its tour of the southern Swedish province of Småland: “The sound of the choir was superb, hearty and sonorous, but the program as such was too cheap for my taste – nothing but old worn-out songs. With such an instrument it should be possible to make better music.” Alfvén focused on making the sound even better, expanding and renewing the repertoire, and turning the choir into an instrument, “an orchestra of voices.” As an arranger and composer, Alfvén helped extend the repertoire. 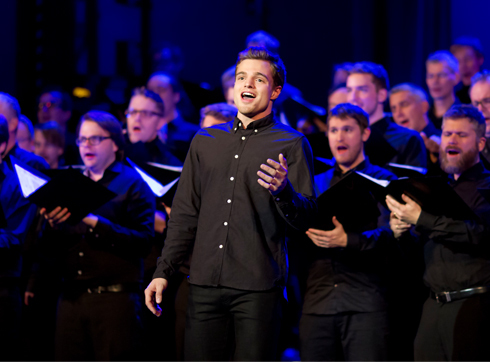 With Hugo Alfvén at the helm, OD consolidated its position as Sweden’s leading male-voice choir and set the standard for Swedish male-voice choral singing – despite stiff competition from Allmänna sången in Uppsala, Lund’s and Stockholm’s student glee clubs, and the YMCA choir. During the interwar years, OD traveled to Paris, Amsterdam, and Barcelona. The quality of the choir varied from year to year, as did the degree of commitment from its director. But OD always bounced back. In 1947 Carl Godin took over as director and renewed the repertoire with sacred works, among other pieces. At this time Allmänna sången reached its apex as a male-voice choir. Many OD members also sang in Allmänna sången. After a contentious debate in 1951, Godin’s contract was not extended, and Eric Ericson was offered the post of artistic director. Ericson elevated OD to a high standard once again, making the choir part of what is often called “the Swedish choral wonder.” Ericson systematically ratcheted up the choir’s technical skill and broadened the repertoire. Ericson’s growing renown paved the way for OD’s international career. 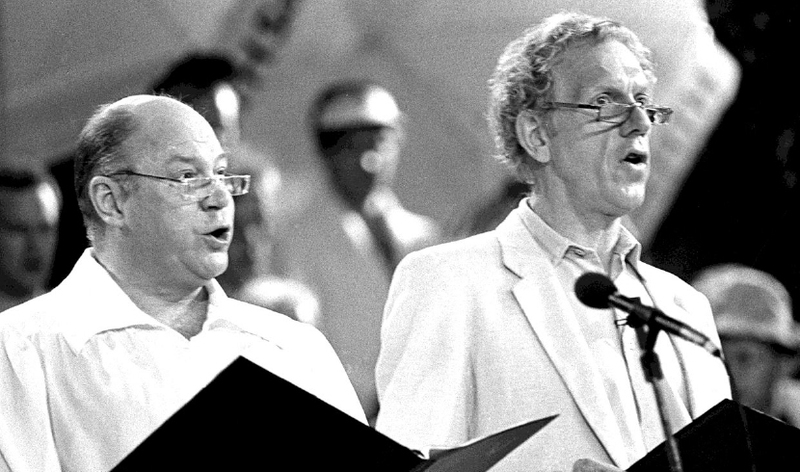 In 1966 and 1967 the choir won the BBC’s contest for European choirs, and the six-week tour of the US in 1970 was crucial to the development of the choir. The frequent rehearsals and prominent venues raises the choir’s competence and level of ambition. In 1962 the Caprice was introduced, a concept that attracted a huge audience. In 1970 another concert form was introduced, the Serenade, an evening of lyrical and musical features in early June. An improved budget enabled OD to pay for study trips. In the 1970s Robert Sund was able to travel to Eastern Europe and make valuable finds in archives, libraries, and second-hand book stores, including works by Suchon, Kodály, and Tormis. The choir was also in a position to commission works for male-voice choir by Swedish composers. In 1991 Robert Sund succeeded Eric Ericson. Like Alfvén, he provided the choir with his own compositions and arrangements. One of his major works was Journey to Nineva, from 1995, an oratorio composed for large cathedrals. The oratorio was typical of OD’s ambition to seek out new arenas, new combinations, and collaborative partners and to vary its musical expression. Another collaborative project was Stravinsky’s Oedipus Rex, performed in 1991, together with the Swedish Radio Symphony Orchestra and the Swedish Radio Choir, conducted by Esa-Pekka Salonen, which was repeated in 2009. 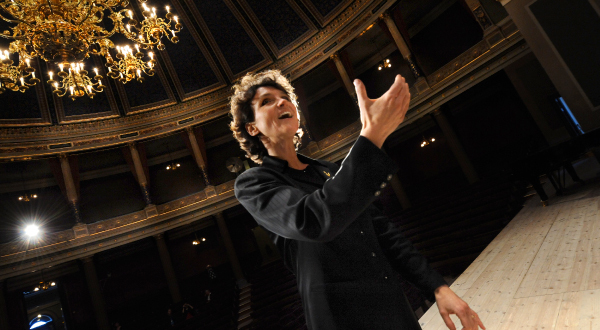 In 2008 a new chapter in the history of OD started when Cecilia Rydinger Alin took over as conductor.